Antenna TV, Tribune Broadcasting's multicast network, announced the addition of two classic sitcoms to the network's lineup. Coach and Gimme a Break! will join Antenna TV beginning January 2, 2018. 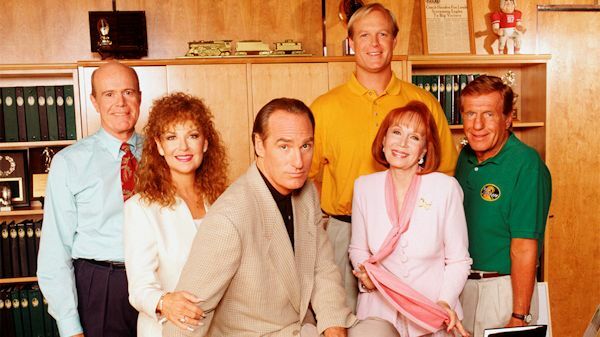 Coach, starring Craig T. Nelson as college football head coach Hayden Fox, will air weekdays at 11pm ET and weekends at 4:30pm ET. 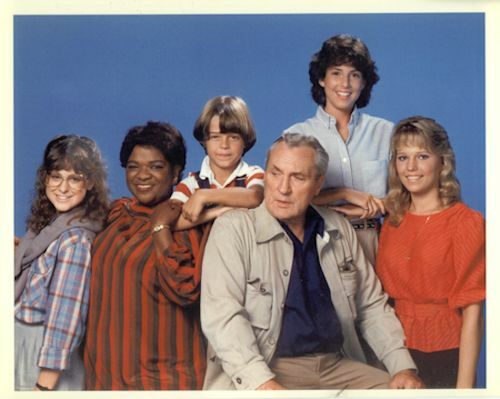 Gimme a Break!, starring Nell Carter as Nell Harper, the housekeeper for a widowed police chief and his three daughters, will air weekdays at 4pm ET and Sundays at 7:30am and 3:30pm ET. Antenna TV, which airs in 131 TV markets across the U.S. reaching 86% of TV households, continues to aggressively invest in programming acquisitions. Earlier this year, Antenna TV added Welcome Back, Kotter, with Alice, Benson, Soap, Growing Pains, Silver Spoons, Head of the Class, Murphy Brown and The Hogan Family being added to its 2018 lineup. All join the lineup beginning Monday, January 2. In addition, The Jack Benny Program and McHale's Navy are returning to the schedule. With all these additions and returning series, the following shows will be off the line-up: Newhart, Dear John, The Patty Duke Show, Green Acres, The Jeffersons, All in the Family, One Day at a Time, Gidget, The Flying Nun, It's About Time, Good Times, Sanford & Son, The Addams Family and The Monkees. Coach will launch with a New Year's Day marathon, as more info on that is to come. The new weekday schedule beginning Jan. 2 is all about similar pairings. Alice airs weekdays at 1pm and paired with Maude. Head of the Class is being paired with Welcome Back Kotter from 2-3pm, Gimme a Break! being paired with Webster, The Hogan Family being paired with Mr. Belvedere, Silver Spoons with My Two Dads, while Growing Pains and Family Ties join forces. In primetime, Three's Company and Soap are paired, while Benson and Wings follow. Murphy Brown airs at 10pm leading into Becker. And Coach at 11pm leading into Johnny Carson's new timeslot of 11:30pm, head-to-head vs. all the late night shows now (watch out ABC, NBC and CBS!). View the full Antenna TV January 2018 schedule with all of these new additions! Put on those Rose-colored glasses and prepare to laugh through the winter blues with two scripted comedies on Pop that prove (dysfunctional) families rule. Starting Jan. 24, 2018, Wednesday nights on Pop will feature back-to-back comedies, including the critically acclaimed fan favorite Schitt's Creek at 8:00 and 11:00 PM, ET/PT, followed by the original series premiere of Let's Get Physical at 8:30 and 11:30 PM, ET/PT. Pop's Wednesday night comedies boast Emmy(R) Award-winning talent and all-star casts, including Eugene Levy, Catherine O'Hara, Daniel Levy and Annie Murphy returning as the Rose family in season four of Schitt's Creek, and Jane Seymour (Wedding Crashers), Matt Jones (Breaking Bad), Chris Diamantopoulos (Episodes) and AnnaLynne McCord (90210) in the new Let's Get Physical. As season four of Schitt's Creek begins, it seems the Roses have somewhat adjusted to the simple life in Schitt's Creek, the town that was once a thorn in their side. The family continues to lay down roots in pursuit of love, business and higher education. But of course, what would life for the Roses be without a little self-inflicted crazy? Series co-creators Eugene and Daniel Levy continue as executive producers. Let's Get Physical is a modern-day comedy capturing the zeitgeist of 1980s aerobics. 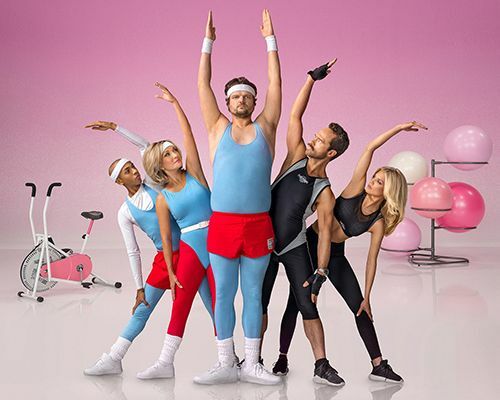 The series revolves around middle-aged slacker Joe Force (Matt Jones), who makes a reluctant comeback in the fitness industry after his dad, the "Godfather of Aerobics," unexpectedly passes away and wills Joe the broke-down family gym with eccentric provisions attached to get his actual fortune and estate. Janet Force (Jane Seymour) is Joe's mom, who takes the reins of the family business in order to maintain their legacy and uses information and manipulation to guarantee that things go her way. Upon coming home, Joe faces his rival, Barry Cross (Chris Diamantopoulos), and his teenage love, Claudia (AnnaLynne McCord), who is now Barry's wife.